Theo is put up for adoption by his biological mother on the day of his birth. Alice has been fighting for a child for ten years. PUPILLE is the story of the meeting between Alice, 41, and Théo, three months old. Mr. Moll & the Chocolate Factory (Papa Moll) The one weekend when Mr. Moll is home alone with the kids, absolute chaos breaks loose. While working overtime in the chocolate factory Mr. Moll´s kids get into a fight with the neighbour´s kids – a fight surrounding sweets, homework and the most famousCircus Dog. Scott and Annie Russell couldn't be happier after buying their dream home from a mysterious and lonely widower named Charlie in Napa Valley, Calif. Their newfound paradise soon turns into a living nightmare when Charlie -- still strangely attached to the house -- begins to show up and interfere in their daily lives. When his erratic behavior turns to obsession, the young couple soon find themselves caught up in a violent confrontation that threatens to destroy everything they hold dear. Flora is a circus elephant who can no longer perform her tricks. The night before she's scheduled to be euthanized, the circus owner's 14-year old daughter, Dawn, sneaks Flora from the circus. All that stands between them and the safety of the elephant preserve is two hundred kilometers of woods, one raging river, two elephant hunters and the fear of not making it. The film is dominated by excitement and suspense, where it highlights the hidden hands that want to sabotage the country, and the rhythm of strife, and how to deal with it. Paris, 1789. The Bastille has been stormed and a breath of liberty blows through the streets of Paris. Françoise, a young washerwoman, and Basile, without a family or a name, discover the unique exhilaration of love and revolution. With their friends and the working-class people of Paris, they begin to realize dreams of emancipation in the newly formed assembly where they witness, with both hopes and doubts, the creation of a new political system. Their debates and the riots on the streets hold the fate of their once sacred king and the birth of a republic. Freedom has a story. A millennial American girl befriends a Lebanese housewife and disrupts her ordered life; one night they become accidental partners-in-crime. 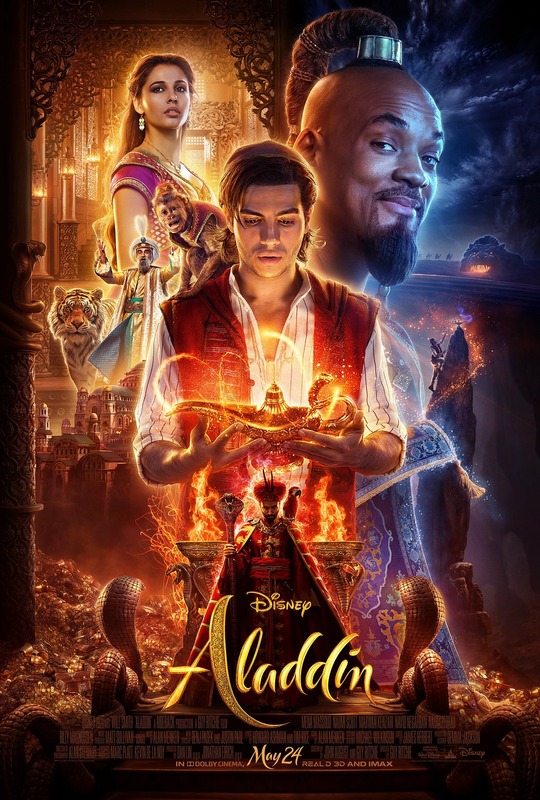 The Aladdin cast includes: Two-time Oscar nominee Will Smith (Ali, Men in Black) as the Genie who has the power to grant three wishes to whoever possesses his magic lamp; Mena Massoud (Amazon's Jack Ryan) as Aladdin, the hapless but lovable street rat who is smitten with the Sultan's daughter; Naomi Scott (Power Rangers) as Princess Jasmine, the Sultan's beautiful daughter who wants to have a say in how she lives her life; Marwan Kenzari (Murder on the Orient Express) as Jafar, an evil sorcerer who devises a nefarious plot to unseat the Sultan and rule Agrabah himself; Navid Negahban (Homeland) as the Sultan, the ruler of Agrabah who is eager to find a proper husband for his daughter, Jasmine; Nasim Pedrad (Saturday Night Live) as Dalia, Princess Jasmine's hand maiden and confidante; Billy Magnussen (Into the Woods) as Prince Anders, a suitor from Skanland and potential husband for Princess Jasmine; and Numan Acar (Homeland) as Hakim, Jafar's right-hand man and head of the palace guards. A possessed Checkered Ninja doll teams up teenage boy Alex to avenge the murder of a poor child factory worker. The Checkered Ninja helps Alex vanquish the school bully and score the love of his life, while Alex teaches him that revenge isn’t better than crime. Youth from different social classes in Beijing come together to form China's best dance crew and learn what it really means to be family. 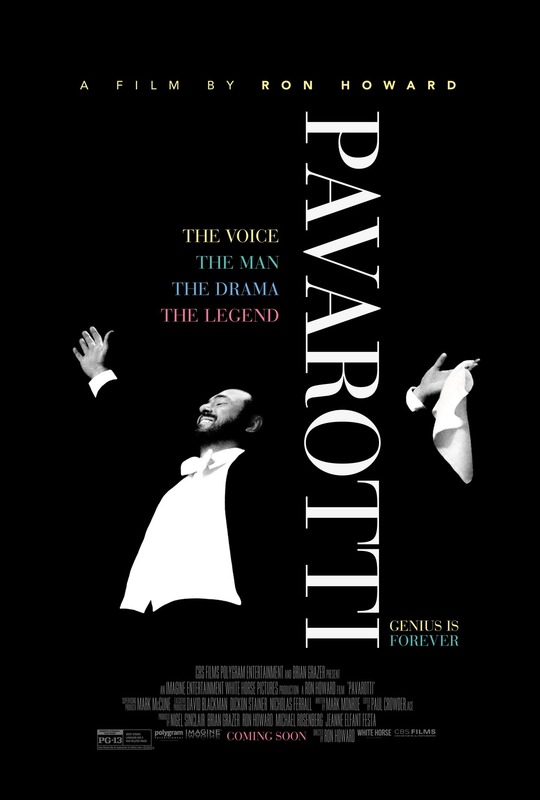 The incredible true story of legendary dancer Rudolf Nureyev is brought vividly to life by Academy Award®-nominee Ralph Fiennes and BAFTA winning screenwriter David Hare. From Nureyev’s poverty-stricken childhood in the Soviet city of Ufa, to his blossoming as a student dancer in Leningrad, to his nail-biting escape from the KGB and defection to the West at the height of the Cold War, The White Crow is a gripping, revelatory look at a unique artist who transformed the world of ballet forever. The next chapter in Warner Bros. Pictures' and Legendary Pictures' cinematic MonsterVerse: an epic action adventure that pits Godzilla against some of the most popular monsters in pop culture history. Super-Assassin John Wick (Keanu Reeves) is on the run after killing a member of the international assassin's guild, and with a $14 million price tag on his head - he is the target of hit men and women everywhere. The Secret Life of Pets 2 will follow summer 2016’s blockbuster about the lives our pets lead after we leave for work or school each day. Illumination founder and CEO Chris Meledandri and his longtime collaborator Janet Healy will produce the sequel to the comedy that had the best opening ever for an original film, animated or otherwise. The Secret Life of Pets 2 will see the return of writer Brian Lynch (Minions) and once again be directed by Chris Renaud (Despicable Me series, Dr Seuss' The Lorax). The world of Pokémon comes to life! The first-ever live-action Pokémon adventure, “POKÉMON Detective Pikachu” stars Ryan Reynolds as Pikachu, the iconic face of the global Pokémon phenomenon—one of the world’s most popular, multi-generation entertainment properties and the most successful media franchise of all time. Beneath Anna Poliatova’s striking beauty lies a secret that will unleash her indelible strength and skill to become one of the world’s most feared government assassins. An electrifying thrill ride unfolding with propulsive energy, startling twists and breathtaking action, ANNA introduces Sasha Luss in the title role with a star-studded cast including Academy Award Winner Helen Mirren, Cillian Murphy, and Luke Evans. A single mother and her young son must fight for their lives when a sinister Buddi doll seems to take on a life of its own. The troll prince Trym has only three days to save his father, King Grom, who has turned to stone and had his tail stolen by the evil presence in the forest. Trym and his companions must go on a wild and dangerous journey across the troll kingdom of Ervod to save his father's life and return the kingdom to its rightful ruler. The story follows a young couple visiting an isolated Swedish village; over the course of their vacation, they discover that its residents participate in an eccentric set of seasonal traditions. The recent death of the main character's parents casts a sense of dread over the proceedings. From Disney Live Action, director Jon Favreau's all-new The Lion King journeys to the African savanna where a future king is born. Simba idolizes his father, King Mufasa, and takes to heart his own royal destiny. But not everyone in the kingdom celebrates the new cubs arrival. Scar, Mufasa's brother - and former heir to the throne - has plans of his own. The battle for Pride Rock is ravaged with betrayal, tragedy and drama, ultimately resulting in Simba's exile. With help from a curious pair of newfound friends, Simba will have to figure out how to grow up and take back what is rightfully his. The all-star cast includes Donald Glover as Simba, Beyonce Knowles-Carter as Nala, Chiwetel Ejiofor as Scar, James Earl Jones as Mufasa, Billy Eichner as Timon and Seth Rogen as Pumbaa. Utilizing pioneering filmmaking techniques to bring treasured characters to life in a whole new way, The Lion King roars into theatres on July 19, 2019. 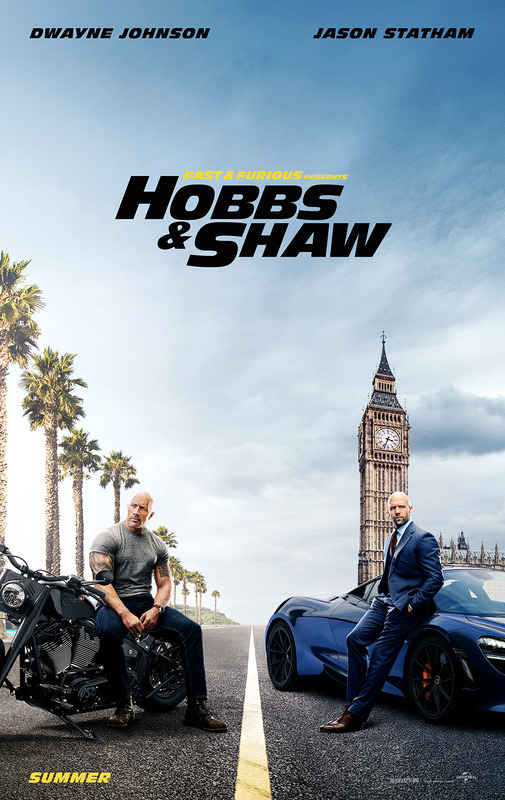 A faded TV actor and his stunt double strive to achieve fame and success in the film industry during the final years of Hollywood's Golden Age in 1969 Los Angeles. Super spy Lance Sterling (Will Smith) and scientist Walter Beckett (Tom Holland) are almost exact opposites. Lance is smooth, suave and debonair. Walter is... not. But what Walter lacks in social skills he makes up for in smarts and invention, creating the awesome gadgets Lance uses on his epic missions. But when events take an unexpected turn, Walter and Lance suddenly have to rely on each other in a whole new way. And if this odd couple can’t learn to work as a team, the whole world is in peril. SPIES IN DISGUISE is an animated comedy set in the high-octane globe-trotting world of international espionage. Zombie slayers Tallahassee, Columbus, Wichita and Little Rock square off against the newly evolved undead. From Metro Goldwyn Mayer (MGM) and Universal Pictures, the peculiar, ghoulish family will face off against a crafty reality TV host while also preparing for their extended family to arrive for a major celebration. J.J. Abrams returns to direct the final installment of the Skywalker saga.